The service is now in open beta, too, so give it a shot. 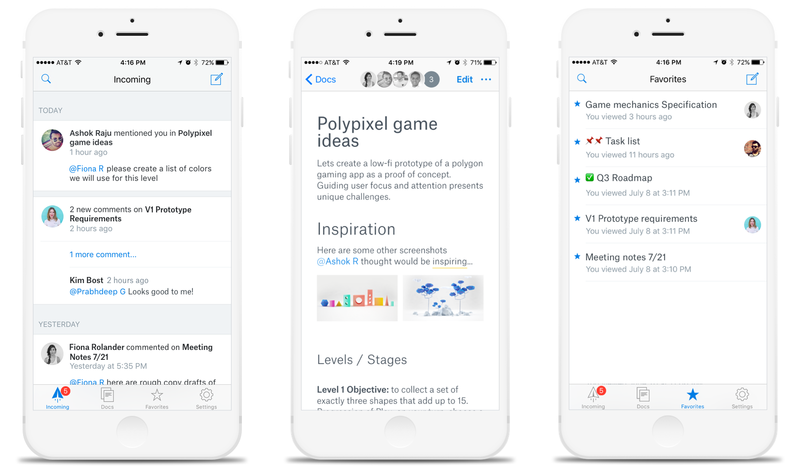 It's been almost a year since Dropbox formally introduced Paper, its vision for a collaborative workplace regardless of whether you're a project manager, coder, designer or any other kind of employee. It's been in closed beta since then, and we haven't heard much of how the tool has progressed, but today that's changing. Dropbox is announcing that the Paper beta is now open to anyone, and the company is also launching dedicated Paper apps for iOS and Android. Both the apps and a variety of new features Dropbox added to Paper come at the request of users; the company says it has been listening very carefully to feedback throughout the beta process and has implemented the top requests. 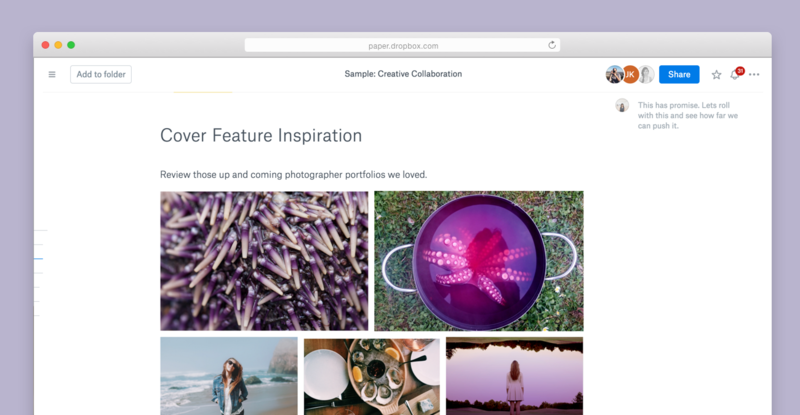 For the web version of Paper, that includes enhanced table features, improve photo galleries and new notifications that are rolled into the Dropbox desktop app. The changes to tables are pretty straightforward. You can now make them the full width of your document or constrain them to a smaller space if you don't want them to cover the entire screen. You can also resize the width of your columns, and Dropbox made it easier to add and delete cells. I hesitate to truly call these "new" features; they're more like table stakes for any kind of spreadsheet, even a basic tool like Paper's tables. Paper's improved image galleries are similarly basic. It's a lot easier to drag and drop images around to rearrange and resize them into a gallery -- it's kind of like the way Tumblr handles posts with multiple images. What's more notable is that you can now comment on a single image at a time rather than just leaving a comment for the entire group. Again, a pretty simple feature that's necessary for Paper to truly make a mark as a collaboration tool, but it's good to see it in place as the open beta is launched. The last new feature for the web is a bit of a bigger deal, as Paper's notification system has been revamped. You have always been able to "@" message peope in your organization who are using Dropbox and Paper, and now a new notification center collects all comments made on documents you've started. It'll also keep track of any time someone pings you with an @ mention or replies to comments you've left in other documents. These notifications are visible both in Paper itself as well as in the Dropbox desktop app that sits in your toolbar, so even if you're not in Paper, you can see who's pinging you. Beyond the desktop are Paper's first apps for iOS and Android -- Dropbox says that these were the number one most requested feature from beta testers. Rather than try and throw ever Paper feature into the app, though, Dropbox kept things a bit more focused here. 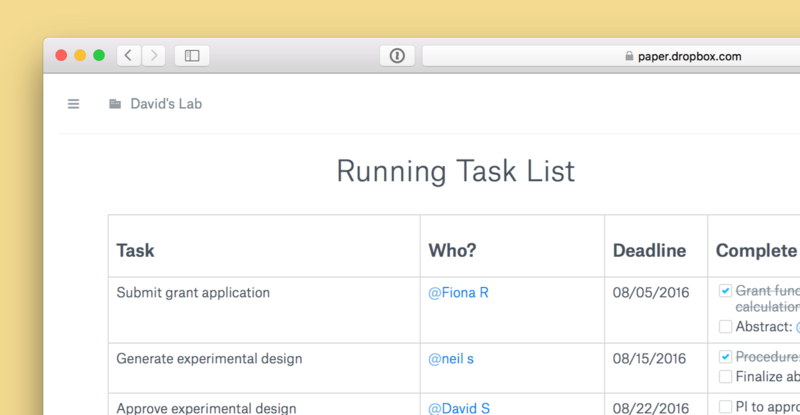 The app brings the same notifications from your desktop to the phone, giving you a glanceable view of what people are doing in the documents that you've created or are otherwise working on. Naturally, you'll get push notifications as well. I don't know that I'd want to have those turned on, but Dropbox says having access to this info on the go was a requested feature from users. You can also respond to comment threads from a dedicated tab within the app, and there are also some basic document editing features baked in. You won't be able to embed the many different types of content that Paper supports, but you'll be able to make quick changes to text from your phone and also drop in images from your camera roll. The app is also smart enough to save any document you've marked as a favorite to the app by default, so you can work on them when you don't have a connection. 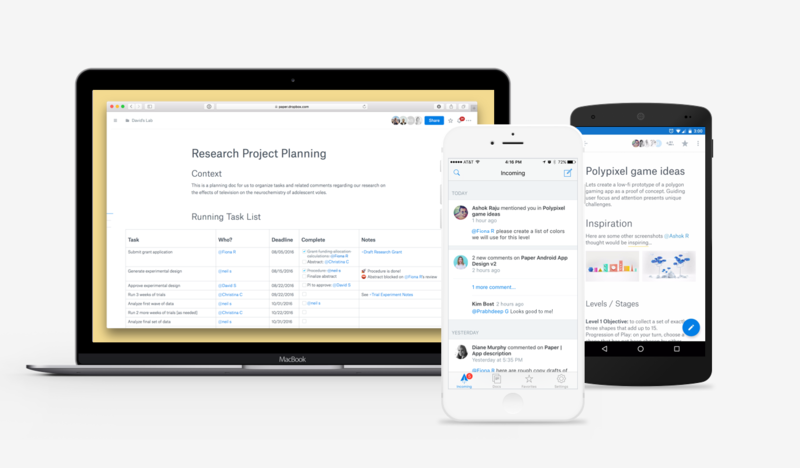 All of these changes and the apps roll out today -- and with the open beta, Dropbox will truly have a chance to see how many people are interested in its latest collaboration tool. It's a bit of a change for the company, which has typically focused on first keeping files in sync. Now, Dropbox often says its mission has evolved into "keeping teams in sync," and it looks at Paper as a way to do that. However, Dropbox has killed off a few other initiatives that tried to move the company beyond straight file syncing: the Mailbox email app and Carousel photo-syncing app. I asked Dropbox product manager Kavitha Radhakrishnan if users should have any concern about their Paper docs going away in a few years if the company shutters its latest project, and she said user's shouldn't be worried because of Paper's explicit link to that goal of keeping teams in sync. Dropbox's new logo for Paper. "From a strategy perspective, Paper's right at the center [of Dropbox]," Radhakrishnan said. "We're looking at Paper as being a core part of the Dropbox experience, and our momentum over the last year should be a pretty strong signal about how seriously we're taking this." She also told me that users have created 1 million Paper documents so far. In a vacuum, that number isn't terribly meaningful, but given the small scale of the closed beta, Dropbox certainly hopes that number will skyrocket going forward. As to how Dropbox will be successful with Paper when there are lots of options like Microsoft Office and Google Docs that do many of the same things, Radhakrishnan says Paper's flexibility makes it the kind of tool that makes it well-suited to being used across an organization. "We've seen products that do creation, organization and collaboration really well, but Paper fits across all three of those pillars," she said. "Paper's uniquely positioned in that it's not just one tool that does one part of the workflow well. It brings entire teams together." Whether a one-stop shop for creation, organization and collaboration makes more sense than distinct, focused tools remains to be seen -- but with the beta now open to everyone, Dropbox should find out whether Paper has a future very soon.